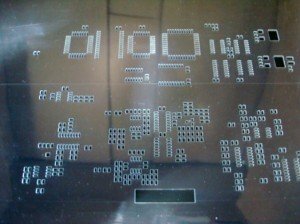 MLT frameless stencils are used for applying solder paste, flux, and solder balls to circuit boards, wafer, and components for prototyping, volume production, and PCB rework. Before the board assembly of these SMT components, solder paste is printed onto the component pads of the printed circuit board. 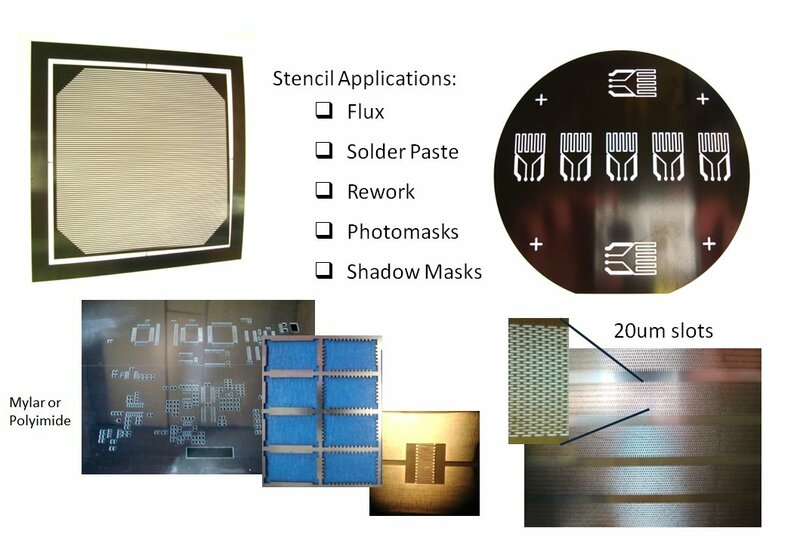 The same stencil printing process is used for high density chip packages, Flip Chips, and LEDs . Stencils are generally fabricated from stainless steel with thicknesses varying based on optimal transfer volumes and the smallest feature size. These stencils can be used with or without reusable stencil frames or tensioning system that do not require permanent glue. 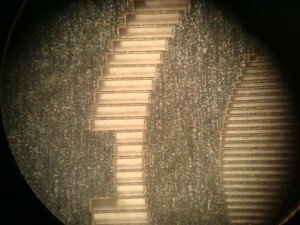 MLT laser cut stencils are precisely fabricated from your PCB’s Gerber layer files. Your quality stencils’ apertures are smooth being free from burrs and raised edges. Combined with laser accuracy and straight aperture wall profiles, transfer volumes and placement positioning are optimized. Low cost or disposable stencils can be made from Mylar (PET), Kapton (polyimide), and other nonmetal materials that are used for simple masking or other PCB rework applications. These flexible stencils can be laser cut with an adhesive backing that allows for manual alignment and removal of the stencil. 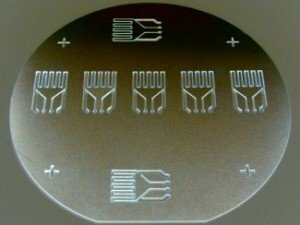 Wafer stencils are an economical method for screening solder bumps onto a wafer (IC die). MLT laser cut wafer stencils accurately locate tens of thousands of the smallest apertures across a metallized surface. With optimized laser processing, wafer bump apertures result in reduced heat affected areas that minimize thickness variations.